Defining a home can be hard. Once you have family around you anywhere can be home. 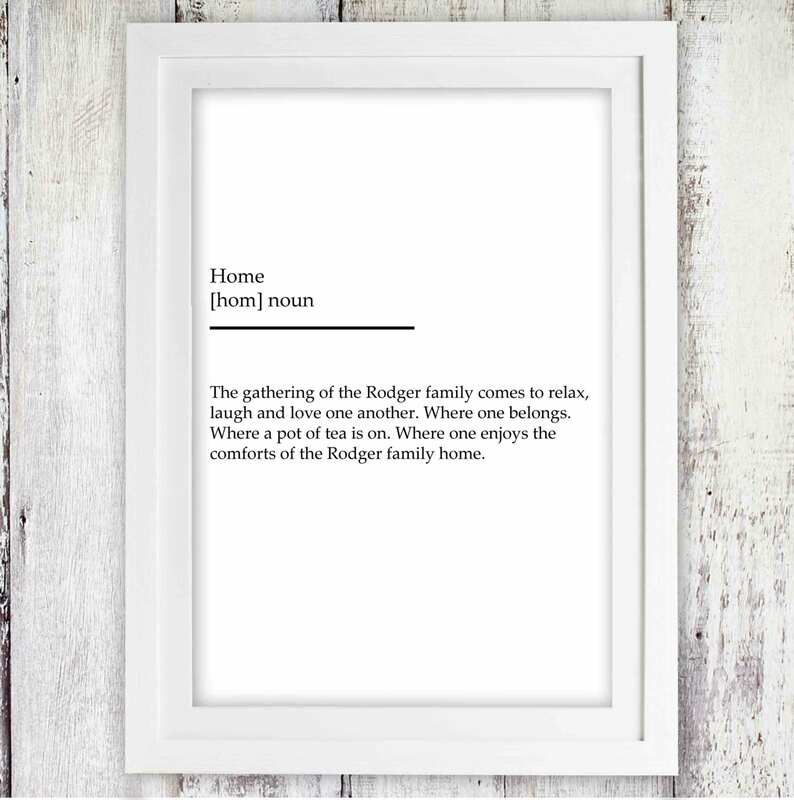 Express that warmth of being 'Home' with this definition of a home poster. It reads as follows. laugh and love one another. Where one belongs. comforts of the SURNAME family home." This is a perfect gift for couples, families and house warmings.